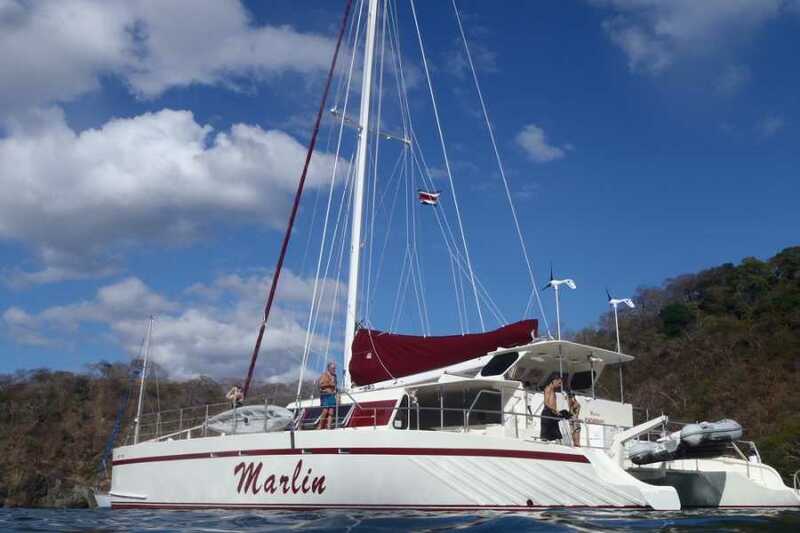 The Marlin Del Rey is a 66-foot sailing catamaran that has no match for size, comfort or service. Capable of reaching speeds of 25 knots under sail, the Marlin Del Rey has the power to travel farther and faster than any other boat in Central America. A forty-foot beam provides stability and space for you and your family to enjoy the Costa Rican sunshine. 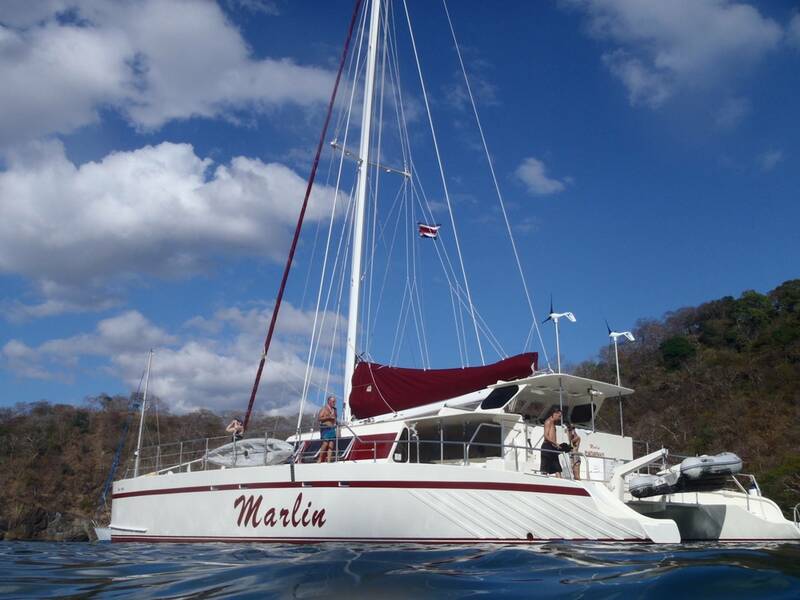 Marlin Del Rey offers daily sailing charters from Tamarindo and Playas del Coco, Costa Rica. Silently glide along Costa Rica’s Gold Coast while passing some of Guanacaste’s exotic bays, white sand beaches, tropical jungles and rain forest. Gaze off the bow with a cold tropical drink prepared and served by our bilingual staff as you scan the seas for dolphins, sea turtles, flying fish or even a breaching whale. Stop in a tranquil bay, drop anchor and frolic in the blue Pacific. Float on a raft, snorkel in the bay or run down the deserted white sand beach while the ever helpful crew prepares a feast of fruit, chips, dips, ceviche and salad. After frolicking in the secluded bay, the crew hoists the sails and the Marlin Del Rey skims quietly across the surface of the Pacific passing Playa Flamingo, Playa Conchal, Bahia Amore, Bahia de Las Pirates, Playa Grande. Feel the wind in your hair and the sun on your face as you prepare to witness one of the great joys of Costa Rica…..an enchanting Tamarindo sunset.